Add a warming and welcoming style to your home by introducing this magnificent Buckingham 7 Drawer Wide Chest. This wide chest contains 7 drawers in a very organised pattern. 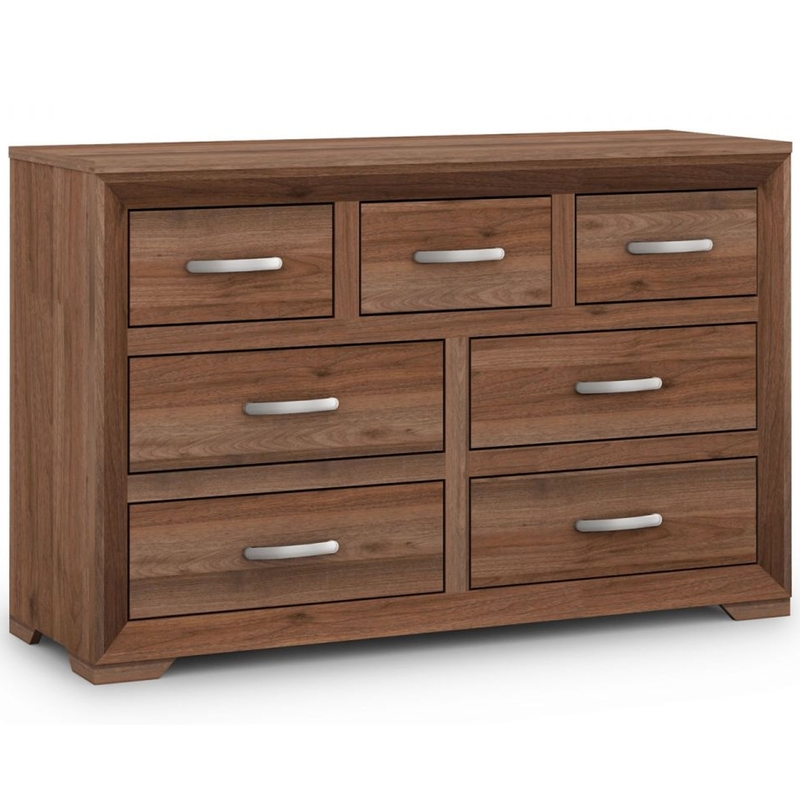 This piece is created from a lovely coated particleboard and is given a very modern and charming walnut finish, making this chest very stylish as well as very practical.